To be honest, the last few UFC fights just didn’t seem interesting to me. At least not enough to pay the 50 bucks to see it. But with a milestone like the 100th UFC event, you know Dana White was gonna stack the title card. 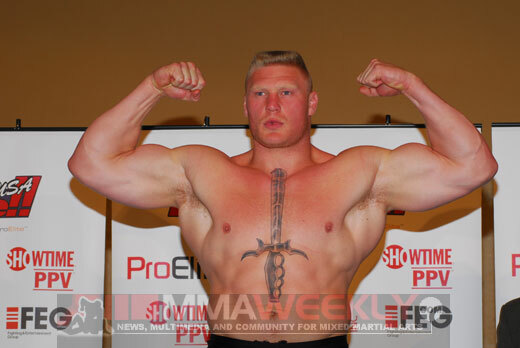 Henderson vs. Bisping, St. Pierre vs. Alves, and the freakishly scary Brock Lesnar vs. Frank Mir. This had epic written all over it, and it did not disappoint. the first fight though, Henderson vs. Bisping, was the one I really wanted to see. On the last season of the Ultimate Fighter, both were the opposing coaches for Team USA and Team UK. There was a lot of smack talk going around, but especially from Bisping pre-fight. So when Henderson laid out the Brit ice-cold then finished him with a flying dive punch to the face (click the image above to see the kill shot), it was like payback for the whole season.